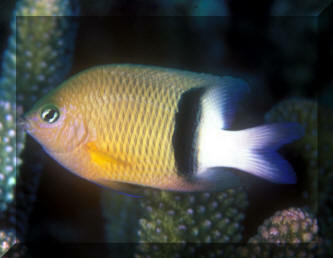 Chromis retrofasciata Weber 1913, the Blackbar Chromis. Western Pacific; Indonesia to Fiji to the Ryukyus and New Caledonia. To two inches in length. N. Sulawesi pic. 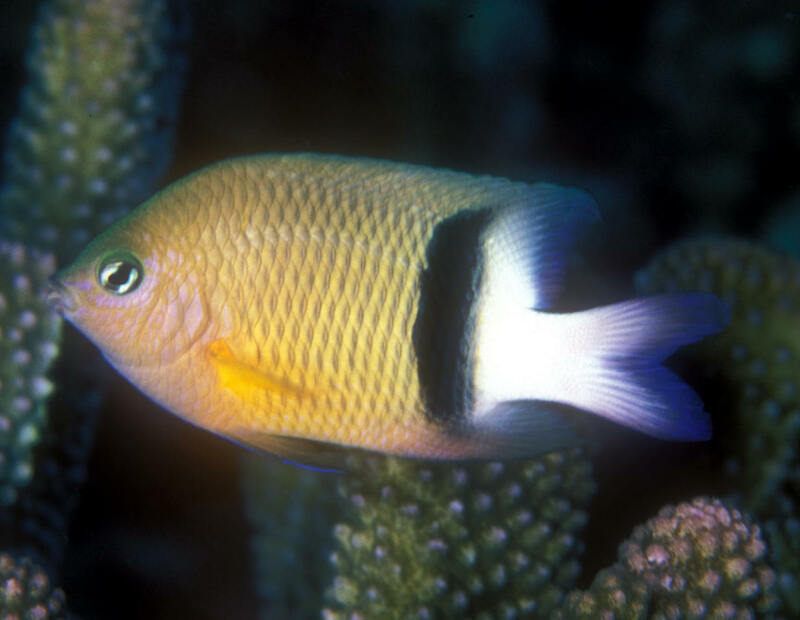 Chromis vanderbilti (Fowler 1941), Vanderbilt's Chromis. 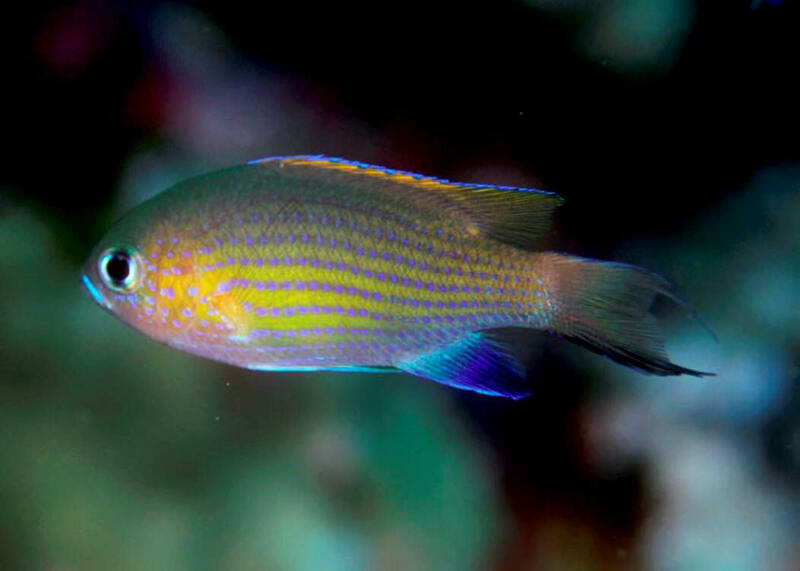 A small beauty (to two inches) of the Central and West Pacific. This one in the Cook Islands. A rare import best kept in a small school in a peaceful setting. 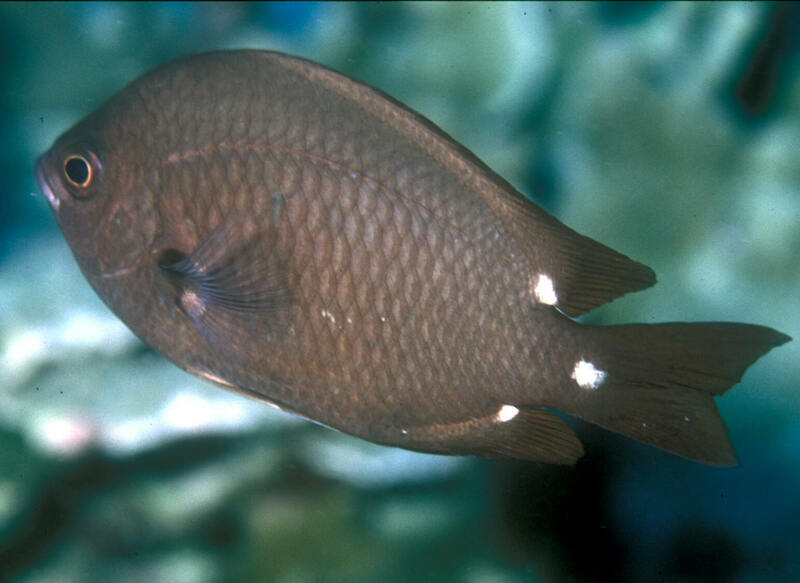 Chromis verator Jordan & Mertz 1932, the Threespot Chromis. 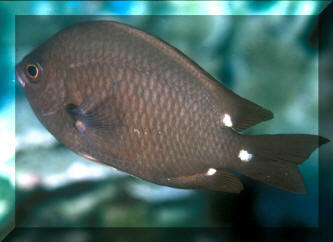 Hawaiian endemic, found in deep water, generally below 60 feet to 600 feet. To eight inches long. Can brighten/dim white spots. Kona pix. Chromis xanthura (Bleeker), Paletail Damsel. To 17 cm. Pacific Ocean. Here in Mabul, Malaysia.